Program at Eastern APA 2019 is here. Katie Homan, program organizer and president of the Eastern Division of the Society for the philosophy of Creativity, is an assistant professor of philosophy at Mount Mary University in Milwaukee, Wisconsin. Her primary areas of research include 19th and 20th Century Continental philosophy, philosophy of art, and philosophy of play. She’s also interested in the history of philosophy and philosophy of disability. 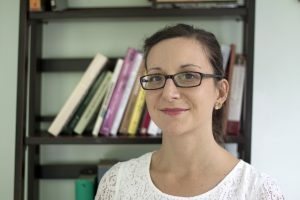 Her articles and translations have appeared in Philosophy Today, The Journal of Speculative Philosophy, and Teaching Philosophy. She is currently completing a book project examining the intersections between play, poetry, and education, especially in the works of Hans-Georg Gadamer and Eugen Fink. In addition to philosophy, Katie finds creative expression in baking elaborate pies.